What do you think of when you hear the word GOLD? A vault of ingots at Fort Knox? Lost treasures from forgotten empires? 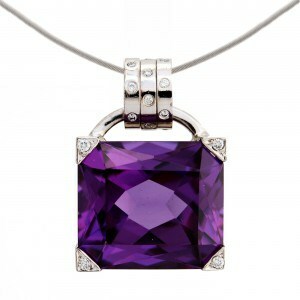 Or maybe you have the same thing on your mind that I do … fabulous jewelry! I thought we could expand on our last blog about White Gold vs Platinum, and explore metal alloys a little deeper. Did you know that when it comes to gold jewelry, there are more options than the traditional yellow and white gold familiar to most people? 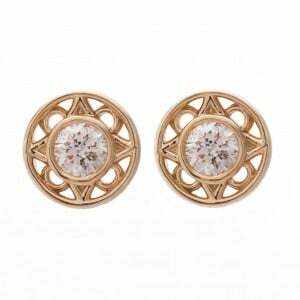 Gold alloys come in a variety of stunning colors that can really make a piece of jewelry stand out from the crowd. 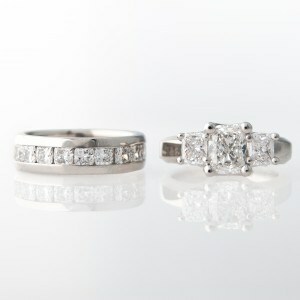 In addition to yellow gold, most people have heard of white gold, but the options don’t stop there. Gold can also be rose, red, or pink, green, blue, purple, and even black. What is the difference among these various hues? Let’s start with an explanation of “pure,” or 24K gold. Pure gold has no other metals mixed into it. 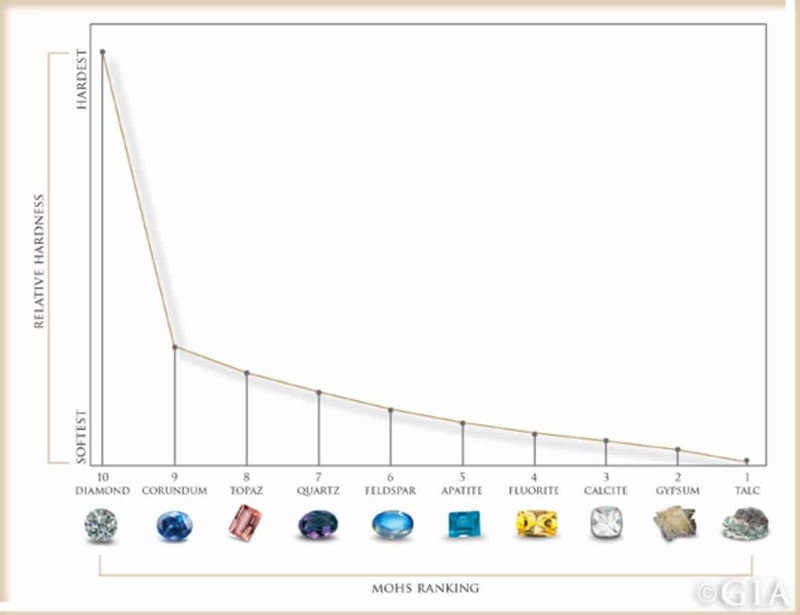 Other gold classes, such as 10K (41.7% gold), 14k (58.5%) or 18K (75%) gold contain a smaller percentage of gold that is combined with other metals such as silver or copper. These types of gold are technically alloys because other metals are mixed into the pure gold. The higher the karat, the richer the gold tone. For people with sensitive skin, sometimes the other metals can cause skin irritation. 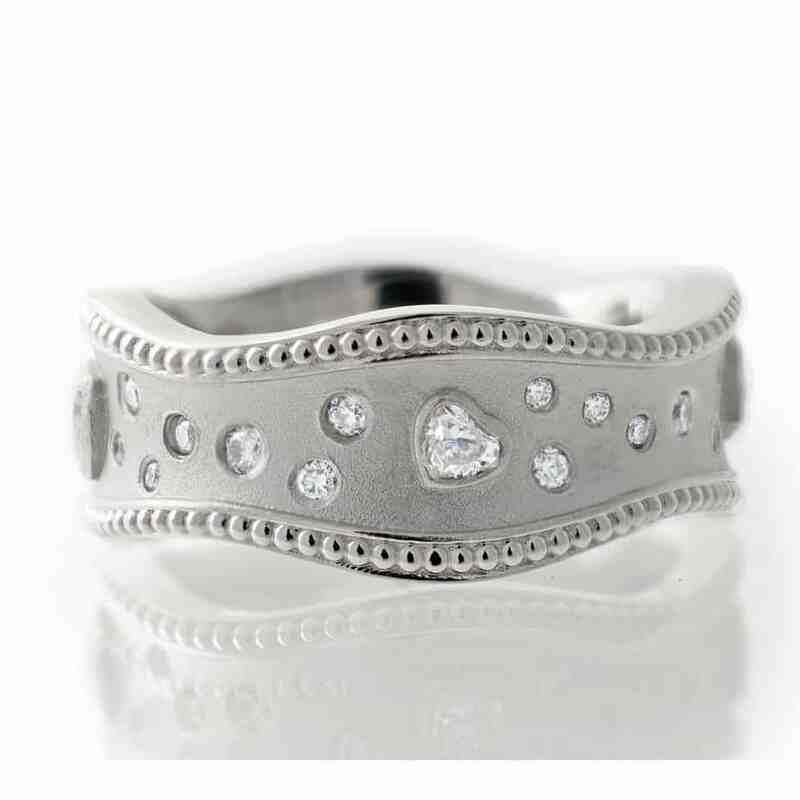 Higher karat gold (18k & 22k) and Platinum (90-95%) are the most hypoallergenic metal for jewelry- but you already know all about Platinum from our last post! So let’s start with our pure gold and mix in some different types of metal to make things more interesting. 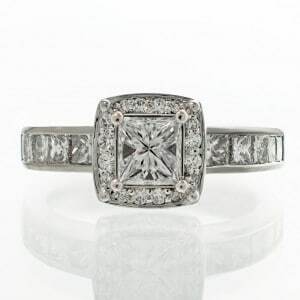 White Gold: While some people prefer to have their gemstones set in platinum, white gold is a great alternative for those who prefer a silver hue to their gold jewelry. 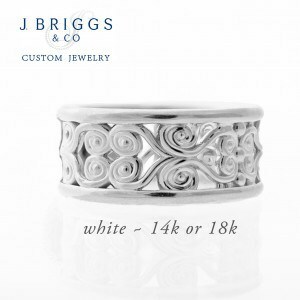 White gold can be mixed with manganese, nickel, or palladium to achieve its signature color. Standard white gold is a combination of 14K gold and a mix of copper, nickel, and zinc. 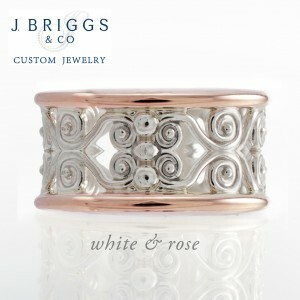 White gold is often plated in rhodium to increase its shine. 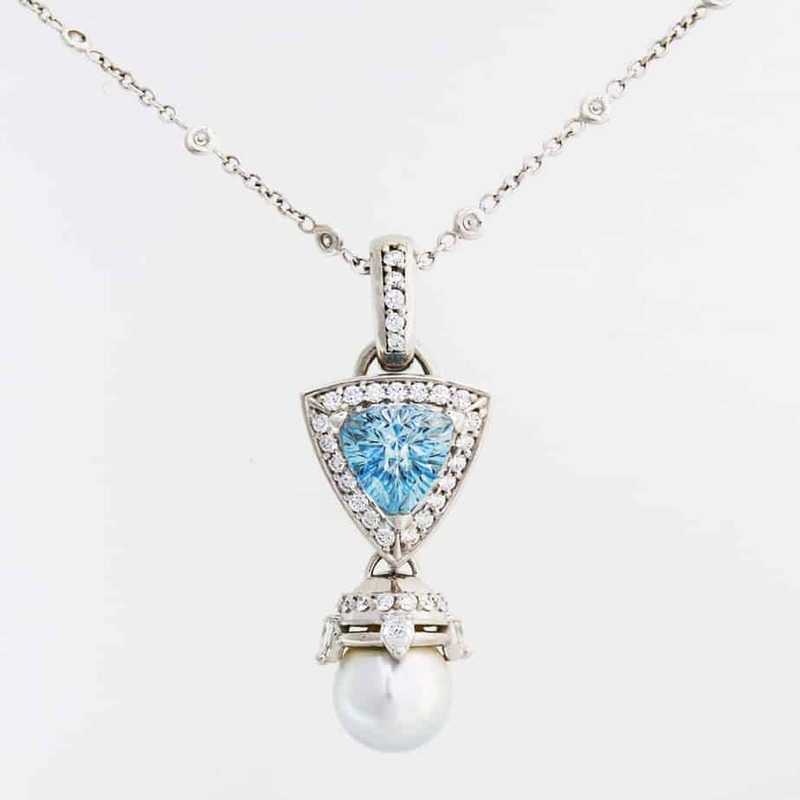 It is often necessary to re-plate after a year or two of wear to bring back the bright white color. Green Gold: Also called electrum, green gold is a naturally-occurring alloy containing both gold and silver. 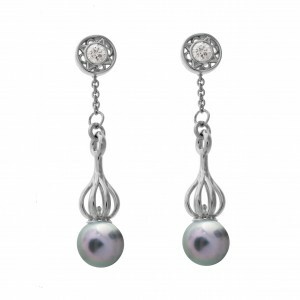 Depending on the ratio of gold to silver, the hue can be subtle or deeper. Red Golds: For gold to take on a pink, rose, or red hue, it is mixed with copper. The greater the amount of copper present in the alloy, the deeper the shade of red. The following colors are less commonly seen than yellow, white, green, and red, but can still be used in jewelry. 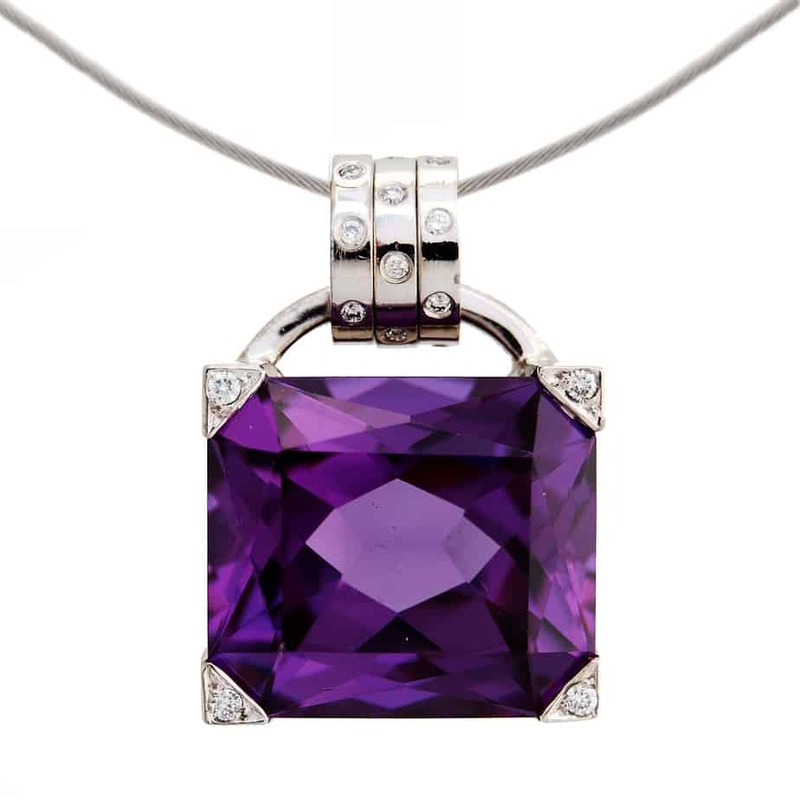 Purple Gold: Purple gold is created by combining gold with aluminum. This alloy is too brittle to us in the traditional sense, but can be cut to look like a gemstone. Blue Gold: A combination of gold and the metal indium or gallium gives gold a subtle, bluish tone. Indium or gallium is present in larger amounts than gold in this alloy. Black Gold: Mixing gold with cobalt allows the surface to be oxidized resulting in black gold. Purple, blue, and black golds can also be created using surface treatments to achieve the desired hue. 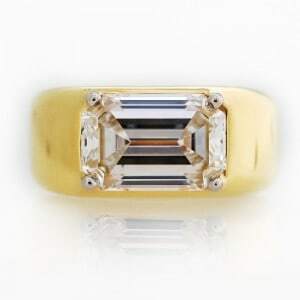 It’s important to note that not all gold alloys are appropriate for the same types of jewelry. Some are more malleable, some more brittle. Black, purple, and blue gold pose challenges while white, rose, green and yellow gold can certainly be crafted into traditional jewelry. It’s also worth mentioning that the color variations tend to be subtle. It can be fun to play around with the different colors of gold when designing a piece of jewelry. Using more than one type of gold within a piece can create a visually arresting alternative to standard yellow or white gold. 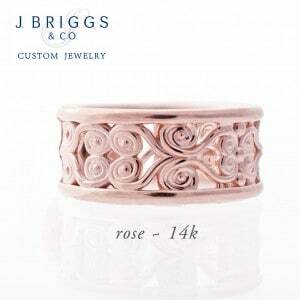 At J. Briggs, we are happy to explore the different gold varieties with you to achieve exactly the effect you desire. The long-standing fascination with emeralds may simply lie in their intense, radiant green color. Although rare in the gemology word, imperfections and inclusions are often tolerated in this beautiful stone, happily overlooked by many in exchange for the visual pleasure that this May birthstone brings. The bigger issue affecting the significant price and marketability of emeralds is the presence of a rich, dark green color. Emeralds have a good hardness of 7.5 to 8 on the Mohs scale and belong to the large gemstone family of the beryls. Pure beryl is colorless. The colors do not occur until traces of another element are added. In the case of the emerald, it is mainly chromium and vanadium, concentrated (unusually) in different parts of the Earth’s crust. 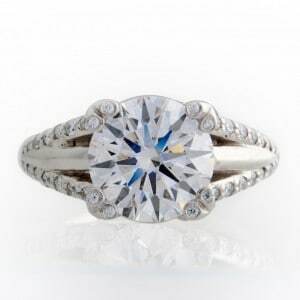 The tension created during this process produces some minor flaws in the stone – and some major ones. Only seldom is a large emerald with good color and transparency found, which is the primary reason emeralds are so valuable. 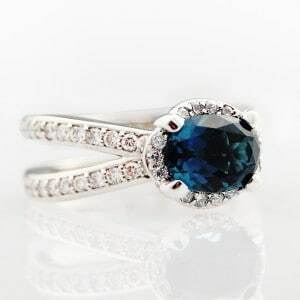 Rubies, sapphires and emeralds form the “big three” of colored stones, generating more economic activity than all other colored stones combined. In the last several years, the value of emeralds imported into the U.S. exceeded the value of rubies and sapphires combined. 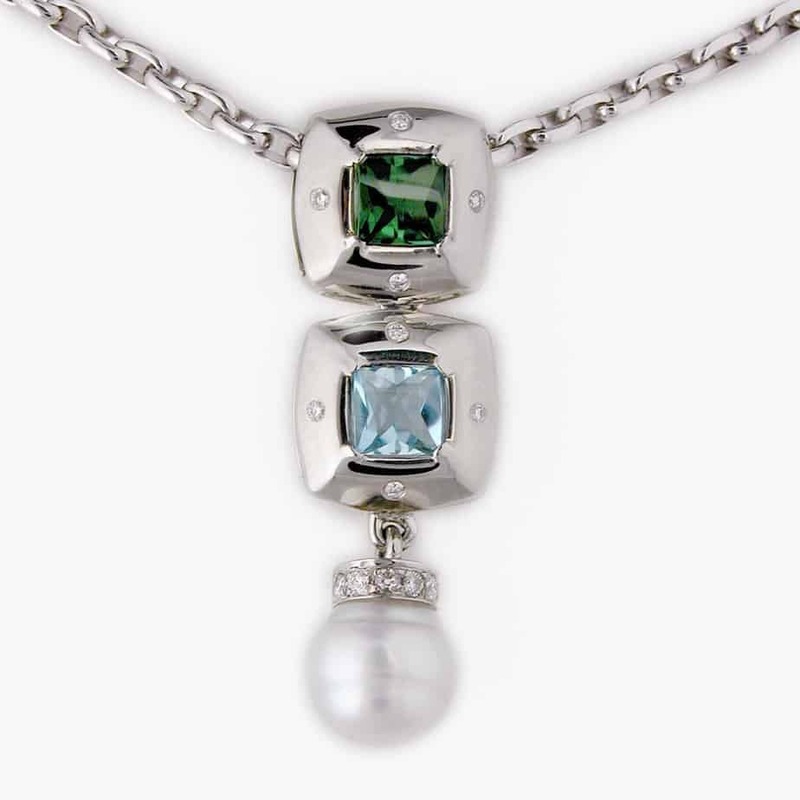 Today, many emeralds are enhanced with colorless oils or resins. Although a common industry practice, it is done so with the caution of consequence, as these green treasures react very sensitively. While the hardness of emeralds protect it from scratches, its many fissures can make cutting, setting and cleaning rather difficult. When cutting takes place, the substances used or applied seals the fine pores in the surface of the gem. 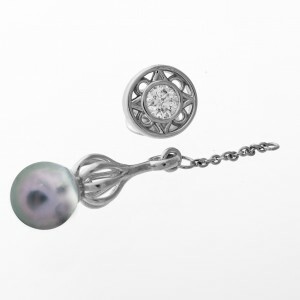 Removing them gives the stone a “matte” appearance. 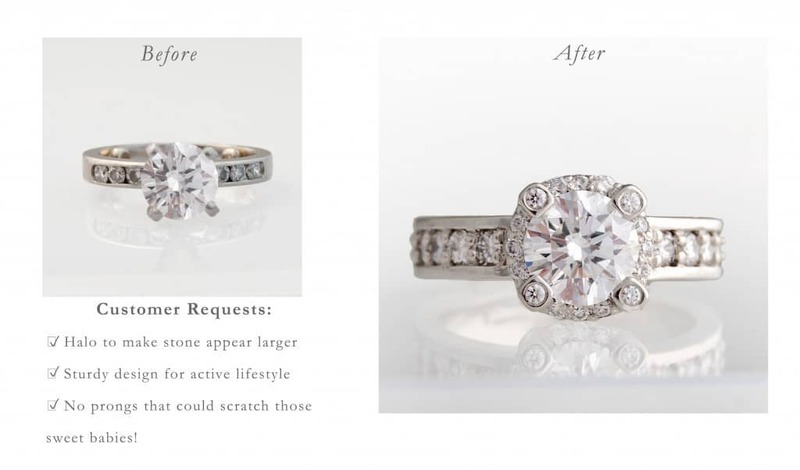 Emerald rings should also always be taken off before the wearer puts his or her hands in water containing cleansing agent and they cannot be cleaned in an ultrasonic bath. A hard, but not tough stone, perhaps the lure of the emerald can be summed up by Roman Philosopher Pliny the Elder’s writing that “green gladdened the eye without tiring it.” True enough, the love affair with emeralds continues to evoke emotions in jewelry lovers everywhere. 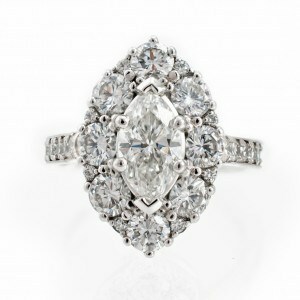 Fine jewelry can serve as an elegant compliment to your wardrobe…the “completion” factor of an outfit. 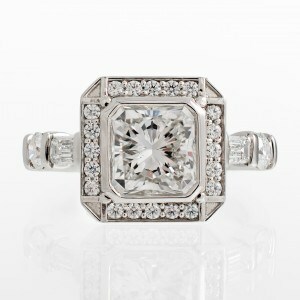 And let’s face it, jewelry is an investment, so maximizing the wearability of your pieces is key. Take your style from casual to chic and errands to evening with versatile creations that can be changed up in different ways. By choosing pieces that will allow you to create multiple looks, you’ll ensure unworn jewels will be a thing of the past. 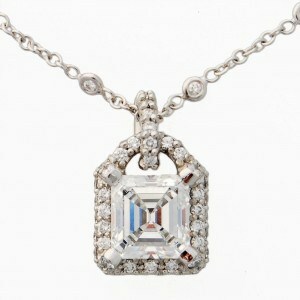 Opt for you a long necklace that can be wrapped shorter with a pendant to give a layered, tiered look. Studs worn to the office can be transformed into breathtaking showstoppers by affixing a diamond or pearl drop or earring “jacket” surrounding the stud. 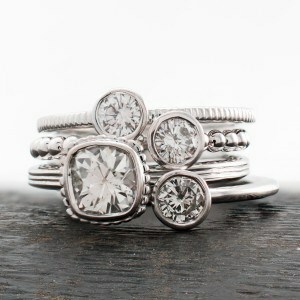 Or imagine a stunning three-hoop necklace that can be changed into a set of stackable rings. Three Ring Versa Set Ring & Versa Necklace: Three rings become a single ring, convert into a necklace & can be worn several different ways. The French word “Peridot” is originally derived from “faridat” in Arabic, meaning gem. Ancient peridot can be traced back to Egyptian jewelry in the 2nd millennium B.C. The stones came from a deposit on a small volcanic island in the Red Sea, some 45 miles off the Egyptian coast, which was not rediscovered until about 1900 and has since been exhausted. Peridot is gem-quality “olivine,” a common mineral in mafic and ultramafic rocks. Formed as a result of volcanic activity deep inside the earth’s surface, gem-quality peridot is a rarity in olivine. The demand for this beautiful stone was reignited a few years ago when peridot deposits were found in the Kashmir region; and the stones were so incredible in color and transparency. Although it’s one of the only gemstones found in just one color, the intensity and tint of the olive green hue depends on how much iron is within the crystal structure. Varying from yellow to olive to brownish-green, peridot is most valued as a dark, emerald-resembling gem. If you were born in August, you may be fortunate enough to receive a peridot as a birthday gift. 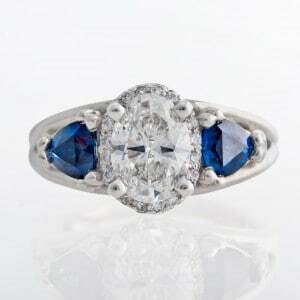 If received as a ring, wearing this birthstone carefully is important, as it isn’t as tough as it looks. Prone to breaking, peridot are better suited for bigger necklaces; a bonus being that larger stones carry a richer color. Throughout history, peridot has been thought to possess great mystical powers to ward off anxiety and inspire happiness, strength and loyalty. It is also believed to promote success in relationships and marriage. Once called the “gem of the sun” in ancient Egypt because of its dazzling appearance in the sun, the curiosity and enchantment that surrounds peridot has made this radiant gemstone timeless. As someone in the field of gemology, I believe in the energy of metals and stones. The properties of these beautiful rocks made by Mother Nature come with the same purity and vulnerable qualities that we are all comprised of. This same energy plays an important role in the creative process as well as the overall client experience. What I have learned along the way is that my happiest customers and best pieces have been a result of relationships built on positivity and dynamic energy shared by all involved. When a client comes to me with a project, it is most often a collaboration, I do my best to create an environment where they feel comfortable sharing with me their ideas and expectations. This helps avoid the introduction of angst- the artist’s nemesis! Bottom line: it is paramount that not only the jewelry be fabulous, but that the entire experience is positive from start to finish. As an artist, I actively look to avoid stressful situations that may impact how the piece is achieved. Bottom line: when my customers are collaborative and upbeat, I feed off of that energy and it shows in the finished product. Finding the answers are all part of the design process. It’s about sitting down with a customer, building a relationship, learning their taste, and discovering exactly who they are. Often, that also includes uncovering what someone may dislike as well. 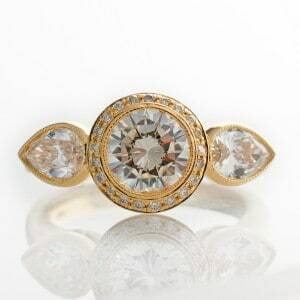 As your expert explorer at envisioning that perfect new piece, I love creating fine jewelry with good vibes. Come in and share yours with me. Various pieces were given by the customer to merge into a re-mount project. After conversations and exploring their style, I draw sketches of that best capture what the customer is looking for. A life-like rendering of different angles comes back to show customer what to expect. After any edits are made, a casting mold is then taken. A gorgeous finished design is born!